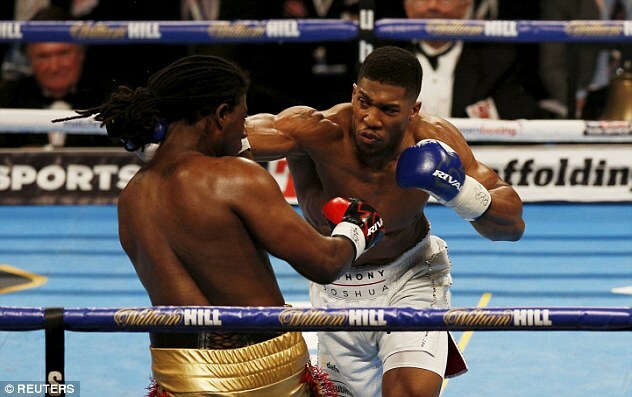 Joshua’s bid to fight Klitschko: viable option? 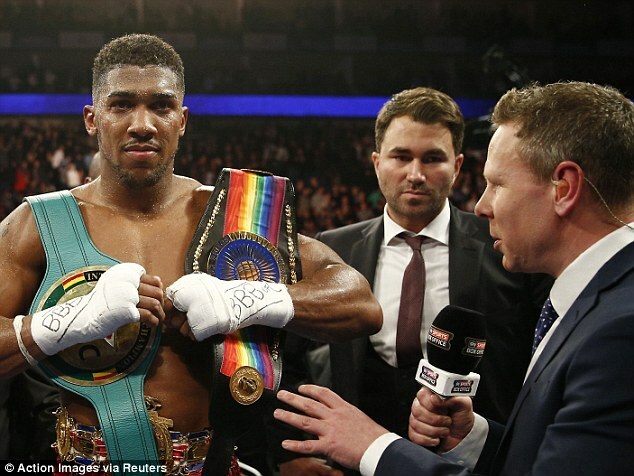 Antony Joshua’s bid to pick up Wladimir Klitschko on the rebound from Tyson Fury hinges on what becomes of the world heavyweight titles which the Gypsy King wrested from Ukraine’s long-reigning champion almost a year ago. With Fury suddenly declared psychologically unfit for his long delayed October 29 rematch with Klitschko in Manchester opportunity knocks for an alternative mega-fight in the same arena. Joshua is already booked to defend his IBF world title there on November 26 and his promoter Eddie Hearn has opened exploratory talks with Klitschko’s German manager Bernd Boente. 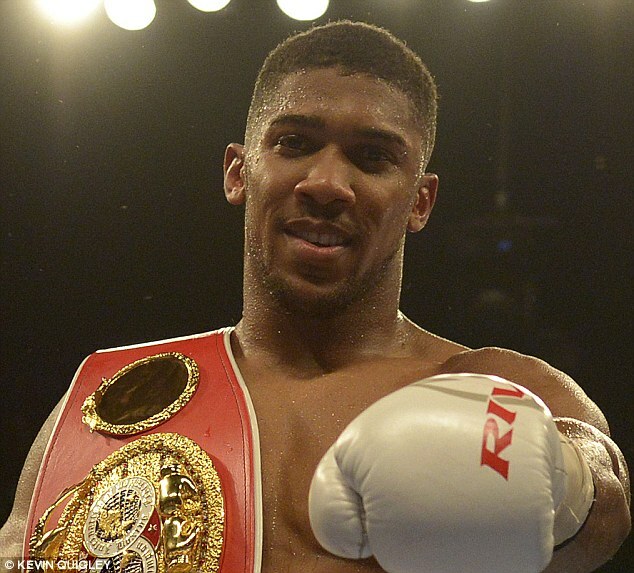 No opponent has been named as yet to challenge Joshua that night and a battle with Klitschko would be a massive attraction on television world-wide. 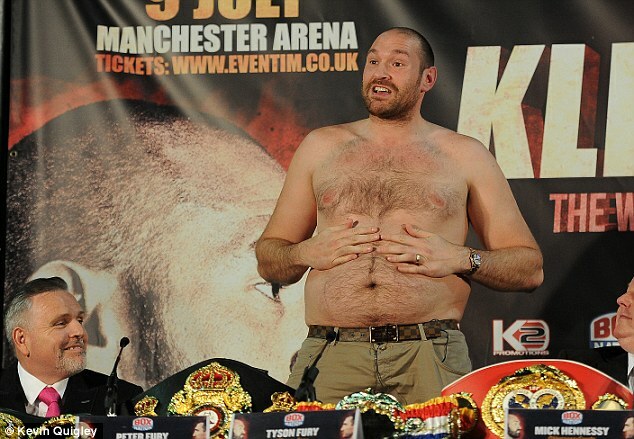 But what Hearn really wants is a shot at Fury. Hearn told Sky Sports News: ‘From our side, if Wladimir Klitschko against Anthony Joshua can be made for the WBA and the IBF belts, for November 26, we are taking that fight, no question. ‘But, as always in boxing it’s a very complicated process, there’s so much that needs to happen and I don’t feel like they’ll strip Tyson Fury just yet. I hope they don’t, because we want the winner of that fight, Fury against Klitschko. But Boente cautions: ‘Wladimir is not averse to fighting Joshua but that Is not his first priority. What he wants most is the chance to regain the belts he lost to Fury last November. 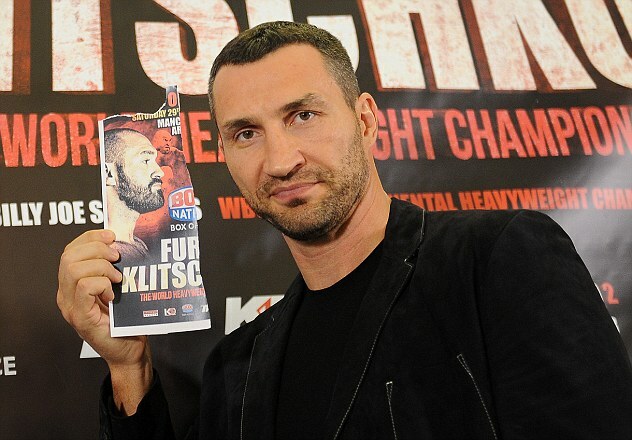 He adds: ‘Fury has kept Wladimir inactive for a year and required him to start training for this fight twice. But while ideally he would like a fight before the end of this year he would prefer it to be for his old belts. Joshua won the IBF title, also previously held by Klitschko, after Fury was stripped of that for failing to meet a mandatory challenger. November 28, 2015: Fury beats Klitschko by unanimous decision in Dusseldorf to win the WBA Super, WBO, IBO and IBF heavyweight titles. 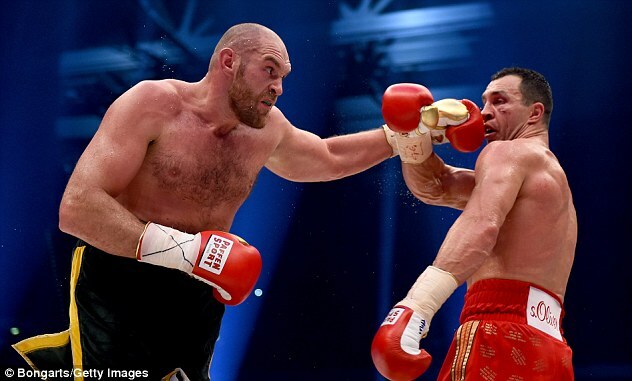 December 8, 2015: Fury is stripped of the IBF title after just 10 days due to Klitschko’s rematch clause in the original contract, which meant the Gypsy King could not face mandatory IBF challenger Vyacheslav Glazkov. April 8, 2016: After months of negotiations, the rematch is finally set for Manchester Arena on July 9. June 24, 2016: With a little over two weeks to go before the rematch, Fury pulls out after suffering an ankle injury in training. July 7 2016: Fury announced that the rescheduled fight will now take place on October 29 at Manchester Arena. Sept 7th, 2016: The October rematch is officially confirmed. Sept 12, 2016: Fury misses the final press conference ahead of the fight after claiming his car broke down. 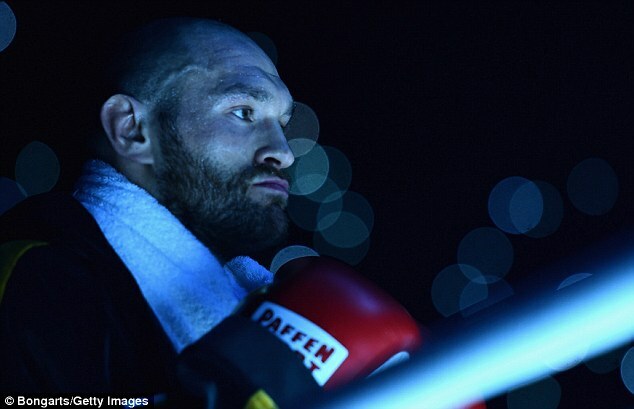 Sept 23rd, 2016: The fight is postponed for a second time, with Fury deemed ‘medically unfit’ to fight. 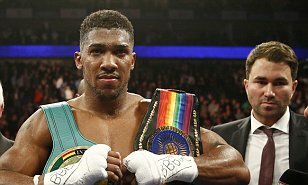 Now the 6ft 9n Mancunian giant faces losing the other belts, along with lineal heavyweight crown which Klitschko is most eager to recover. It has emerged that Fury, who suffers from chronic depression accompanied by fits of angry ranting which have caused widespread offence particularly among the gay community and women’s rights groups, has been warned he would be in danger of a mental breakdown in the ring. If, as expected, his treatment takes several months, the alpha-belt bodies would have no option but to declare their titles vacant. There is also a serious risk now that Fury, who in his darkest moments has often talked of premature retirement, will not fight again. The big money on offer for world title fights ever been a high motivation for this traveller. He is also under the strain of facing a hearing on November 4 regarding an alleged historic failure of a steroid drugs test. Fury, along with his cousin Hughie who is a heavyweight contender, denies any wrong doing with regard to a sample taken 18 months ago. But if the investigation returns a guilty verdict the risk will be all the greater of him hanging up the gloves at just 28. Whatever the opinions of Fury, that would be a sad career’s end for this gifted maverick who shocked the world only ten months ago. Fury made a fleeting, unannounced appearance at the Manchester Arena during the undercard for Anthony Crolla’s world lightweight title defence against Jorge Linares. 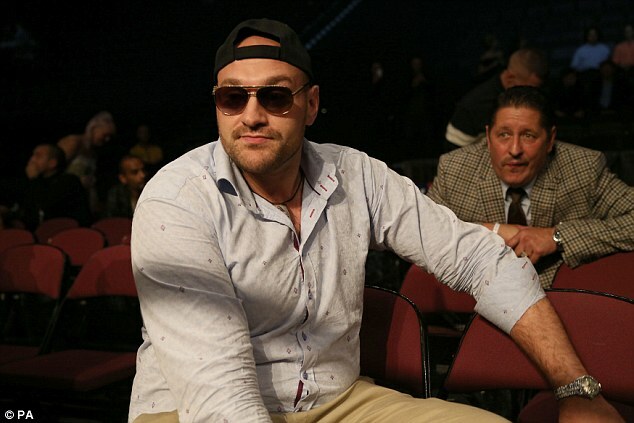 Wearing sun-glasses plus a baseball cap and surrounded by security, Fury watched his friend Isaac Lowe win a six-round featherweight fight before disappearing again. 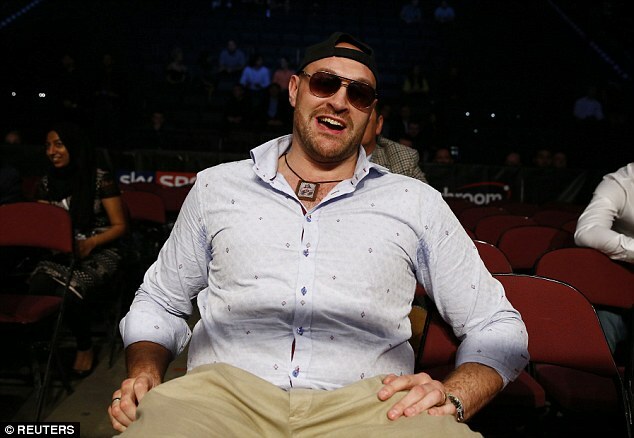 Fury, who looked well above his fighting weight, was booed by the early arrivals in the crowd as he left the Arena. ‘It is with the deepest regret that we have to announce that the world heavyweight championship rematch between Tyson Fury and Wladimir Klitschko, scheduled to take place on the 29th October 2016 at the Manchester Arena, will not be going ahead,’ a statement read. ‘Tyson has, this week, been declared medically unfit to fight. Medical specialists have advised that the condition is too severe to allow him to participate in the rematch and that he will require treatment before going back into the ring. Tyson will now immediately undergo the treatment he needs to make a full recovery.